You may recall a post from ourselves earlier in the year regarding a member of the MCM team utilising their youthfulness and adonis-like physique to partake in a little extracurricular exhaustion for this years Bupa Great South Run 2013. Well the good news is Dan overcame the years strongest winds and made it to the finish line and bar a few blisters seems to be navigating his way around the office with little distress. 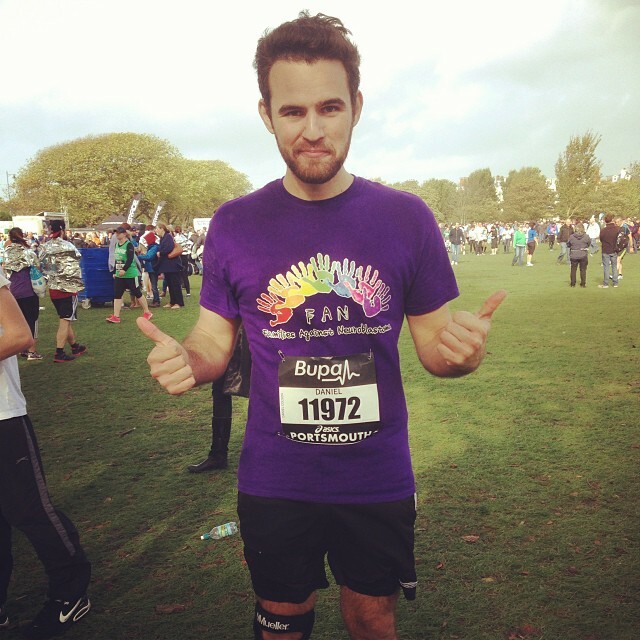 Dan’s efforts have seen him raise a whopping £1,000 for his chosen charity Families Against Neuroblastoma (FAN). Great Work! See below Dan’s data for the race. Not bad considering there were 25,000 runners.